Speedy Electric & AC specializes in residential and commercial heater repair that is custom tailored to meet the specific needs of our customers. We understand that comfort means different things to different people. Consistent temperatures, better indoor air quality, quieter equipment, and low humidity levels in your home are just a few of the benefits of choosing us to handle your air conditioning services. Our technicians are not only trained on the products we provide, they are trained on all types of heating systems. Whether your heater is new, a year old or decades old our technicians are trained to handle them all. Whether you need system repair, maintenance, or replacement we want to be your home comfort service provider. Call Speedy Electric and AC to take advantage of our expertise in repair, installation, maintenance and energy saving products. 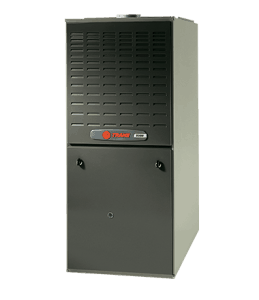 When it comes to improving your indoor air quality, Speedy Electric & AC is your best choice for heater replacement in Midlothian, TX and the surrounding areas. Our team of experts offer affordable and efficient HVAC service to keep your home or business warm during the Wintertime. North Texas weather is tough on air conditioners, but did you know it’s even tougher on heaters? Our Winter temperatures swing from day to day causing multiple starts and stops which mean excessive wear and tear on heating systems. When Speedy Electric and AC arrives at your home or business, they will provide cost-effective and customized heating solutions tailored to your best interests. We will take into account, the size of the building, the number of people inside, and your personal preferences to recommend a plan of action to getting back to comfort. We takes all the time needed to get your heating issues fixed while we’re there, and we won’t leave until you’re 100% satisfied.